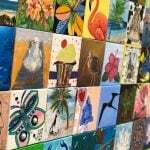 Key West’s most beloved characteristics include its rich seafaring history, flourishing creative community that dates back to Ernest Hemingway’s 10-year residence, and lighthearted vibe that’s as warm as its year-round subtropical temperatures. Plus, according to paranormal expert David Sloan, it’s one of the most haunted cities in the entire United States. 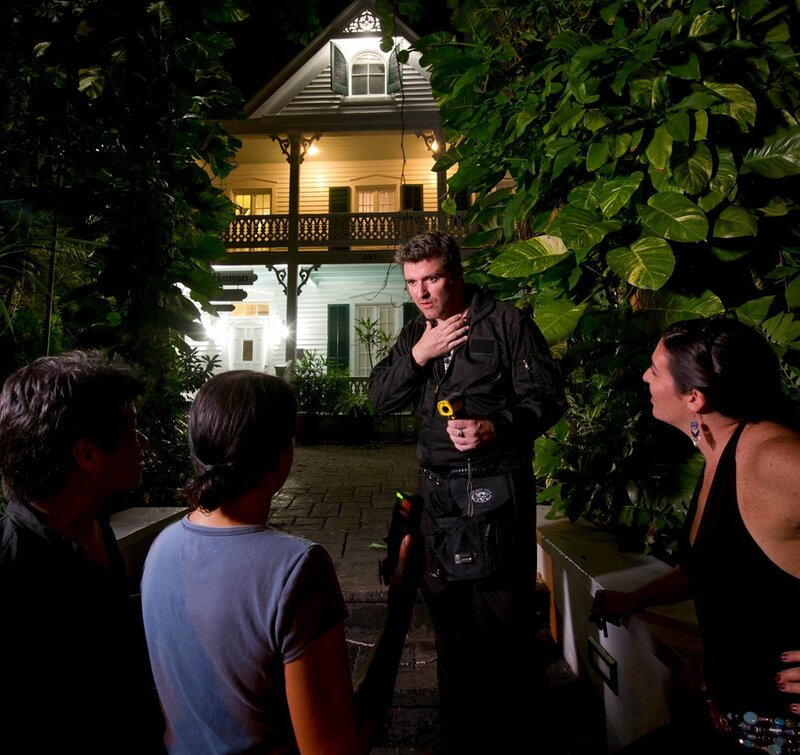 David should know, since he created the island’s first ghost tour in 1996. 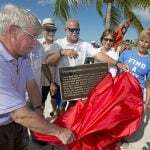 He has also written books including “Ghosts of Key West” and “Robert the Doll,” and researched and launched a unique interactive ghost-hunting tour in historic Old Town. 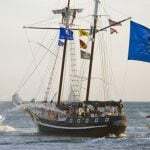 Dubbed Sloan’s Key West Ghost Hunt, the 90-minute nightly walking tour spotlights some of the island’s most noteworthy and well documented spirits: the one that haunts the bell tower of Key West’s lovely St. Paul’s Church, the children who refuse to leave a historic theater and more. The tour features some notoriously haunted island city locations — but it offers far more than well-researched tales. David and his guides show participants how to use state-of-the-art “ghost hunting” equipment to detect supernatural activities. Instead of creating effects to “spook” tour participants, David and his guides take them on a fascinating, authentic excursion that gives them a chance to glimpse and gain insights into the inhabitants of the supernatural realm. They encourage guests to open their minds — and are sometimes as surprised as anyone else when the ghost-hunting equipment picks up otherworldly influences. 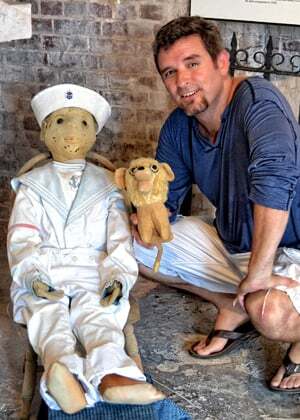 David Sloan’s adventure was named one of the fastest-growing ghost tours in the U.S. by ABC News. 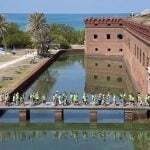 But it’s not the only excursion that blends views of haunted sites with vignettes from the southernmost city’s history. 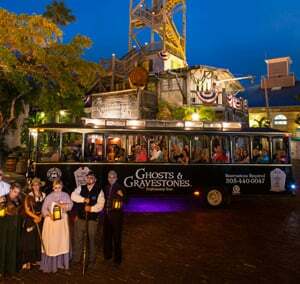 For example, there’s Old Town Trolley’s Ghosts & Gravestones Tour, featuring a costumed “ghost host” who recounts strange but true stories of tragedies, curses and other unnerving events. It’s called the Artist House, and it stands on Eaton Street just off legendary Duval Street. The house got its name because it was the home of local artist Gene Otto and his wife Anne — along with a doll known as Robert that was given to Gene in 1904, when he was four years old. The straw-stuffed doll stood about three and a half feet tall, and Gene blamed all his bad behavior on it — both as a child and when he grew up. While the adult Gene gained renown as an artist, Robert (living in his own attic room in the house, despite Anne’s objections) gained renown of a far more unsettling sort. Children passing by glimpsed him leering from the windows of the turret room and, according to local lore, a workman heard the doll giggling at him. In 1974 Gene died, and Anne died not long afterward. Robert was eventually moved to the museum, but unusual happenings continue to be reported at Artist House — some attributed to Robert and some to another unique entity. Apparently, visitors to the gracious property have seen a ghostly woman in a wedding dress descending a staircase. It’s said to be Anne Otto … a benign spirit who wants to protect her home and its guests. 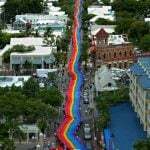 Eager to experience Key West’s “haunting” appeal for yourself? Just click here, and begin making plans!